Congratulation to your 100. post and thank you so much for the invitation to A Harvest Tea. You have made a wonderful Harvest table. 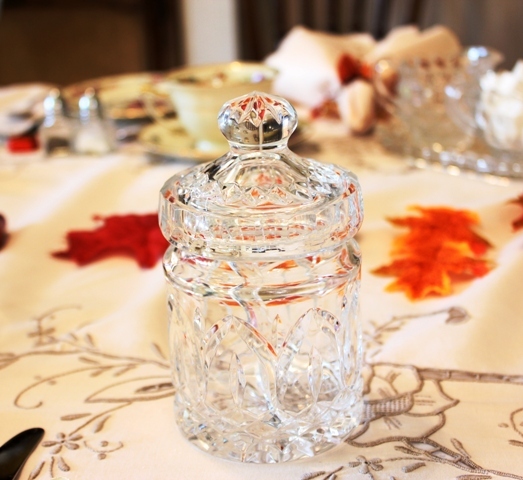 All this pretty china and crystal and I love Mrs. and Mr. Pilgrim with their turkeys. And the menue sounds delicious. I enjoyed my visit very much and please join me for tea next Tuesday. Your china pieces are just beautiful. all so lovely! 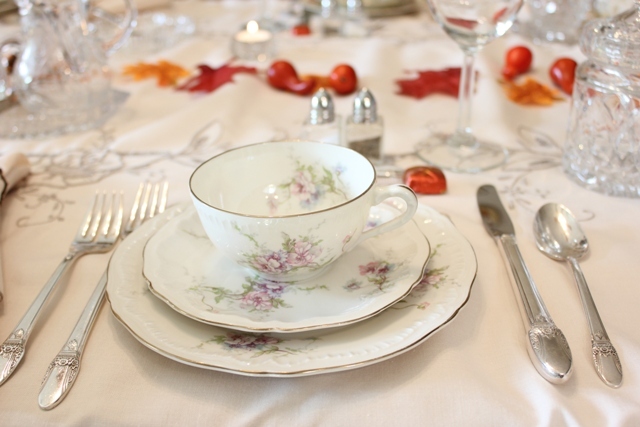 i adore that every setting is different - shows off your great collection and gives personality to the table! Fabulous table! I love the individual place settings. Jus lovely. Trust me I would be honored to attend your celebration. I am not sure I would know what to do at a table this lovely. Best wishes to you. Congratulations on 100 posts! I love your tablecloth. I have been on the hunt for a vintage tablecloth, but I need 120 inches and that is SO hard to find. I love the old cut work cloths and embroidered pieces but the largest I've seen so far is 102". I guess we need a smaller family and table if I want a vintage beauty on my table, lol! 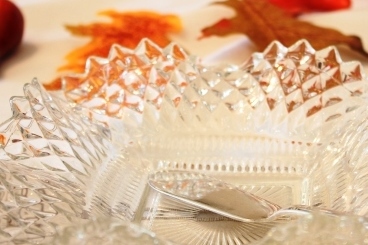 Your table is autumn enchanting!! I love Mr. and Mrs. Pilgram. Your menu looks fabulous. I would come over in a heartbeat! Oh, your china is just beautiful, as is the table..what time did you say to be there??? Happy VTT!! Happy 100th! Everything is just beautiful and I really love your tablecloth and napkins! Thank you for sharing and have a blessed day! congratulations on post #100! I lvoe the mix and match lovely dishes on this table. 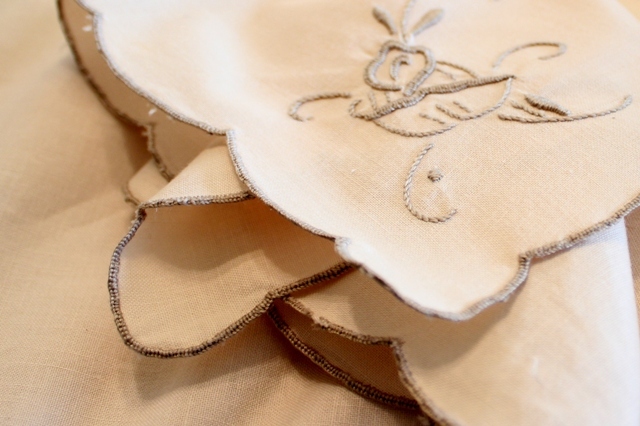 Your table linens are so pretty. Everything is so lovely! I love your tablecloth - my mother did cutwork embroidery when I was little and I can remember her working on a tablecloth - thanks for the sweet memories. Congratulations on your 100th post, it is quite an accomplishment! 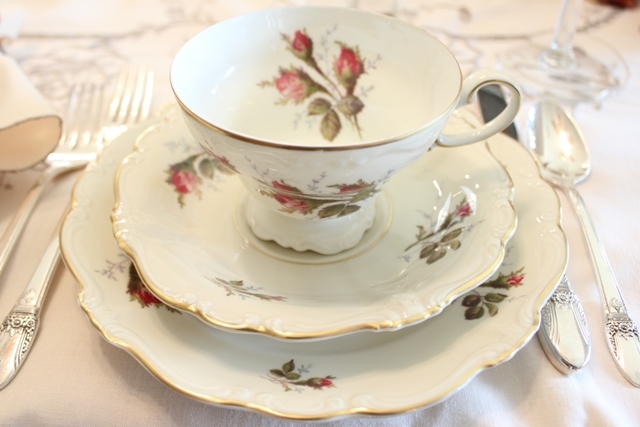 You have set a lovely table...beautiful tea sets. Congrats Betty!! 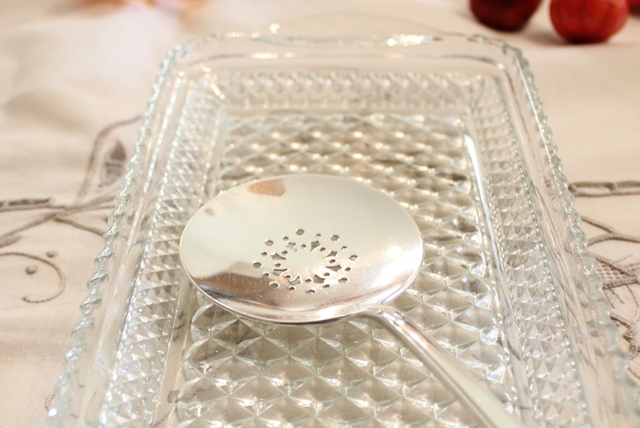 Gorgeous dishes you have there. i'd be glad to come. Your linens are so sweet. i love the mix of China, too hard to pick a favorite! That looks lovely! What a buy you got on that cloth and napkins. I am very jealous! 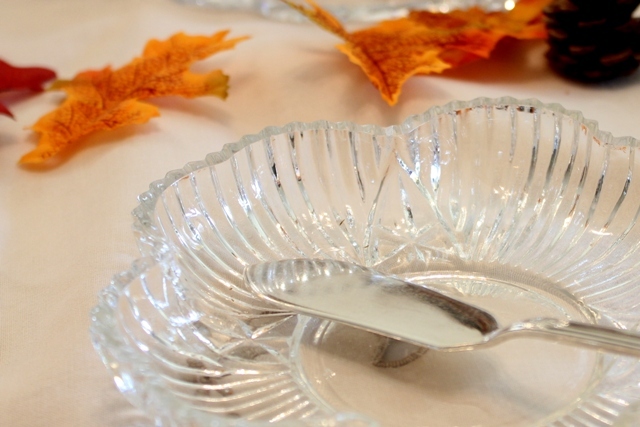 Hope you will join in on my White Chirstmas tablescape on the 15th to celebrate my 2 yr anniv. Details in my sidebar. Congratulations on 100 posts Betty. Your tea looks very inviting. 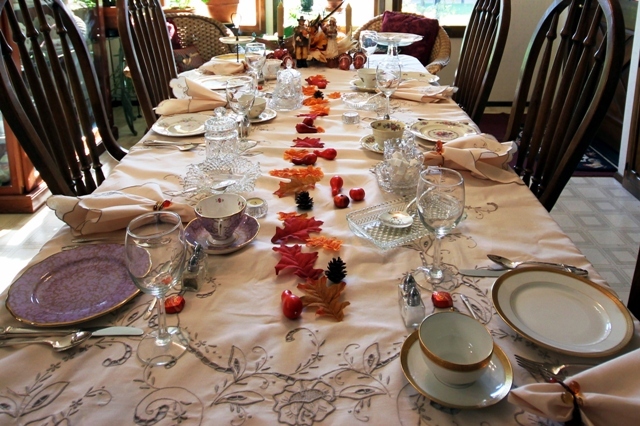 The table is beautiful and the dishes for each guest are so lovely. Not to mention the menu is making me want food. BIG smile. Keep on blogging you are doing a great job of it. Congratulations! The Big 100th! Love the linens! Crystal! The teacups are lovely! Congratulations on your 100th Anniversary post! 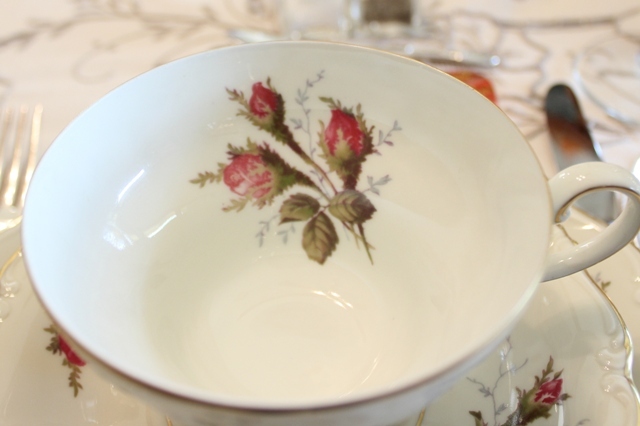 What beautiful china you have! 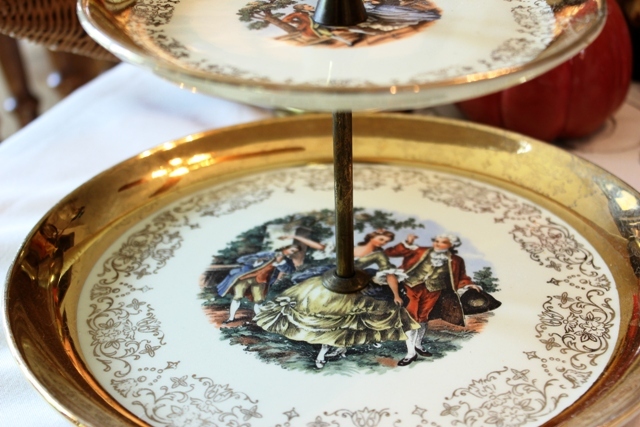 I am particularly fond of the Limoges and that beautiful 2-tiered stand! Yummy! 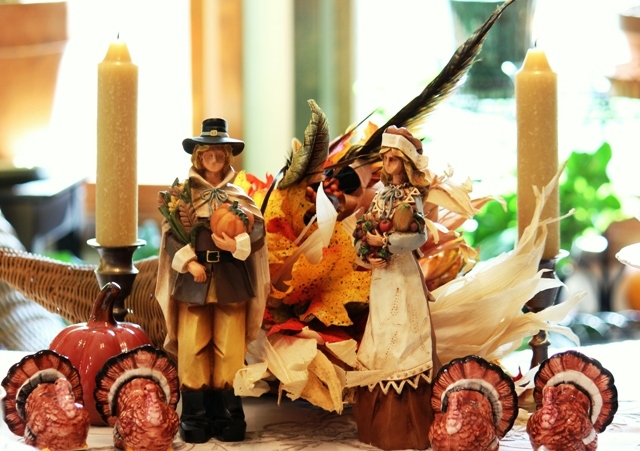 I hope you and yours have a wonderful Thanksgiving holiday! Hi Betty! Congratulations on 100 posts! I so wish I could join you for your wonderful lunch at that gorgeous table! I especially loved that 2-tiered serving plate. It's probably a good thing I didn't come because it might have been mysteriously missing after I left! :-) Thanks so much for linking up to the party! Congratulations on your 100th post, Betty! 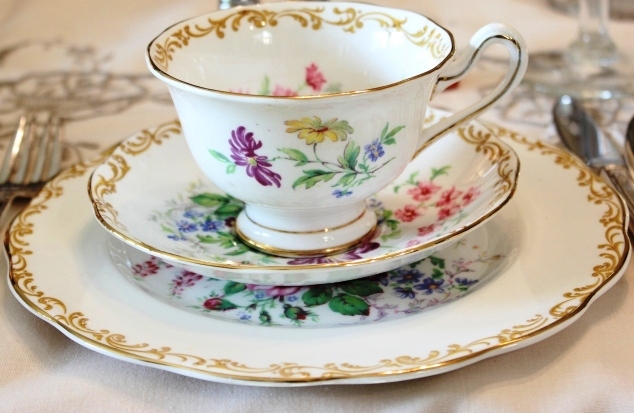 I love each teacup! 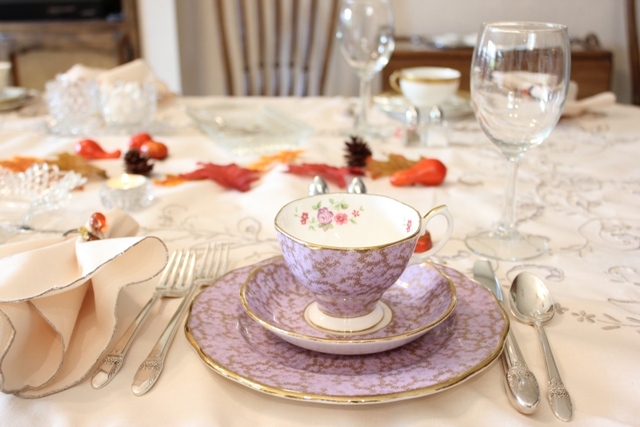 What a lovely table you have set and sure to be a pleasure having tea there! Happy Pink Saturday and enjoy your weekend. What a beautiful table! And I like the sneaked in pinks! Congrats on #100! I love the set up. Congrats on your 100th! Wish I was really sitting at this pretty table with all the beautiful dishes and scrumptious food! Your blog is lovely. I'm your newest follower and would be delighted to have you follow me back! congrats on your post # 100. I've stopped by from Beverly's PS and I'm so glad i have. Oh my, you are a girl after my own heart. 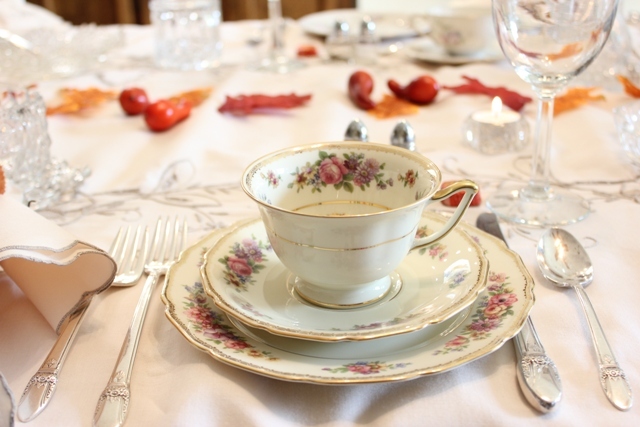 your Harvest tablescape is divine and i love each and every teacup you have shared. 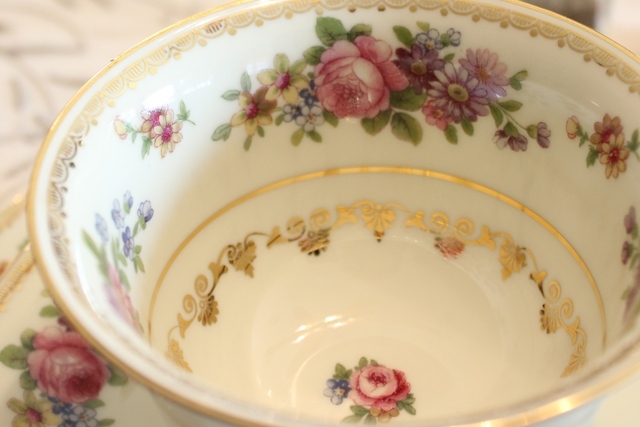 I'm a novice vintage/antique teacups collectors and yours are all really precious. 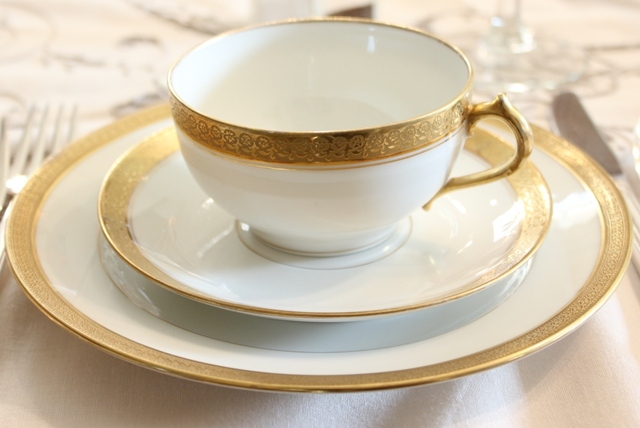 were I to pick one I guess I'd go for the Rosenthal Pompadour pattern... or maybe the 'Sylvia' Thomas Ivory... I must confess that in front of such beauties I'm a little green with envy!! Happy Pink Saturday and Happy Thanksgiving! 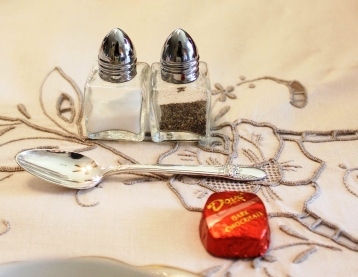 Your vintage table settings are lovely. Congrats on 100!!! I love the different luncheon sets. They are wonderful. I have some of my grandmother's and I love and treasure them dearly. Congratulations on your 100th post! What a welcoming tea. It's so neat that each place has it's own pattern. That Bavarian one is beautiful - well, they're all beautiful, but I particularly like the Bavarian one.